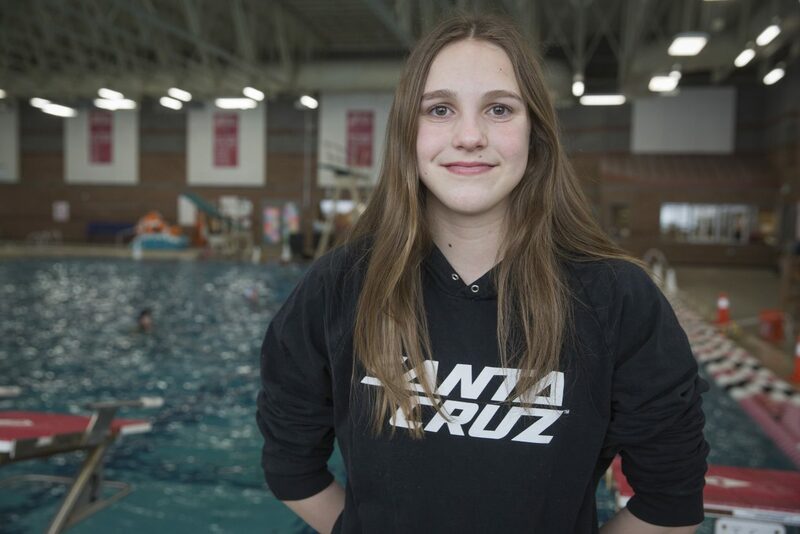 At the beginning of the swimming season, Park City High School freshman Helena Djunic made the transition from club swimmer to high school swimmer. Usually that’s a tough move to make, said Mike Werner, head coach of the Miners swim team. And a swimmer’s first state championship meet is even more intimidating. 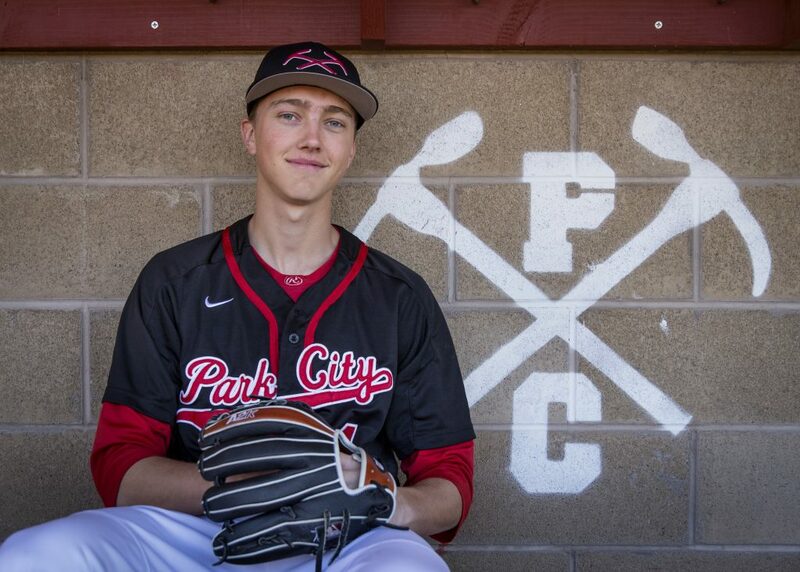 But Djunic’s performance at the Class 4A state championship on Feb. 9 and 10 was outstanding. She was part of two winning relay teams and took first in the 100-yard freestyle and 200 freestyle. Djunic’s times gave her enough points to win Swimmer of the Meet. But Werner wasn’t particularly surprised. Because he also coaches the club team, he has worked with Djunic in the past, and said she had been showing signs of a big performance for a while. Djunic first started swimming after her brother, Dennis, picked it up. 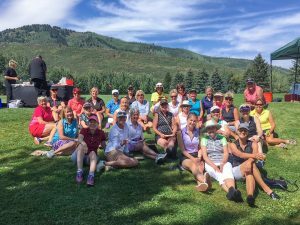 As one of five kids, Djunic said competition and rivalry is a big part of her life. 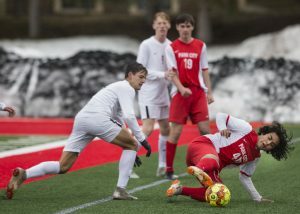 Dennis, a senior, took second in the 50 freestyle at the state championship meet and fourth in the 100 freestyle, and helped Park City’s boys relay teams finish in the top five. Djunic started the season by taking first in the 500-yard freestyle and 100 freestyle at the Region 11 Invitational. 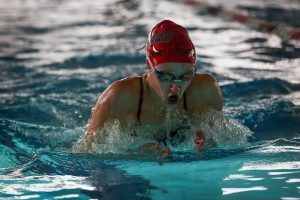 A few weeks later, she showed her strength again among a different set of teams by taking first in the 200-yard freestyle and 100 freestyle at the Park City High School Swimvitational. She also took first in the 100-yard breast stroke and the 100 butterfly during various other meets. In fact, in individual events this season, there were only two races Djunic did not win, and they were both against boys in the PCHS Battle of the Sexes meet. Unsurprisingly, Djunic said she was prepared for the state championship as the season drew to a close. She said her results were up to her standards. 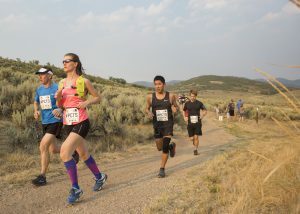 “I wanted to go fast at state, and I went around the times I wanted to go, so I was happy with it,” Djunic said. The Swimmer of the Meet award was the exception to her plan.